Leverage the 2019 Content Calendar to provide a framework for planning the year – from each quarter – to each month – and by day. This calendar template has the monthly themes, weekly themes, and national daily themes. 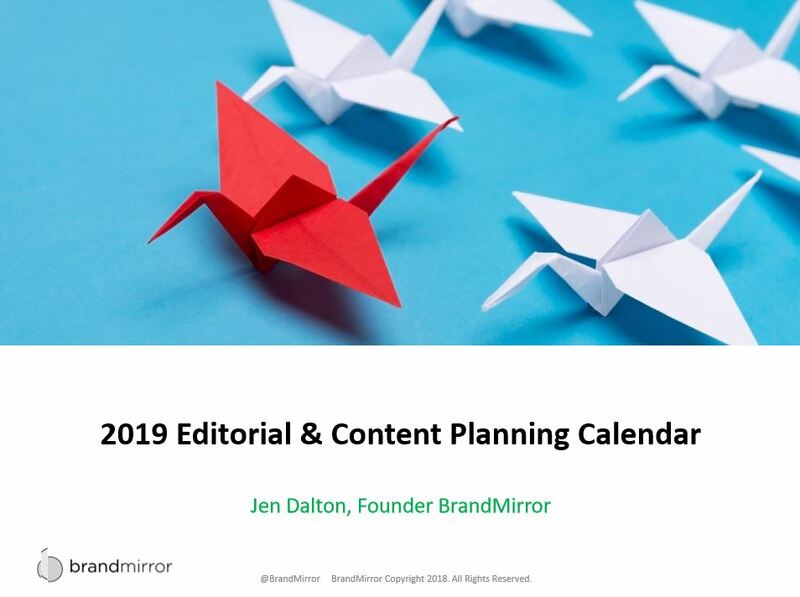 In addition, you will have a template to plan your editorial calendar on one page for the entire year. Don’t let milestones and easy marketing opportunities pass you by. Save time and make it easier to identify content to create and where you, as well as your organization, can join, or better yet, start a conversation.